WASHINGTON -- The Food and Drug Administration has cleared the first new tobacco products for the U.S. market, under a system authorized more than 5 years ago. The agency on Tuesday cleared the sale of eight varieties of snus, or teabag-like pouches of loose tobacco, from Swedish Match. Snus are popular in Scandinavian countries and are a growing part of the U.S. smokeless tobacco market. The milestone, while significant, is somewhat technical. Snus are already available in the U.S. from a number of companies, including Swedish Match and Altria Group Inc., parent company of Phillip Morris. But regulators say the revamped snus from Swedish Match are the first to go through the FDA's formal review pathway. Under a 2009 law, the FDA was granted authority to evaluate tobacco products for their health risks and to clear ones that don't pose new or significant risks to the public health. The agency stressed that the decision on the products "does not mean that they are safe or FDA approved." Still, the news is likely to encourage research and development efforts by tobacco companies, which are looking for new products to sell as cigarette demand falls due to tax increases, health concerns, smoking bans and social stigma. Swedish Match's new smokeless pouches are unlikely to cause people to begin using tobacco, or to discourage existing tobacco users from quitting, according to the FDA's review. The Stockholm, Sweden-based company has filed a separate FDA application seeking permission to market its snus as less hazardous than cigarettes and some other tobacco products. That application is still under review by the agency, according to an FDA spokesman. 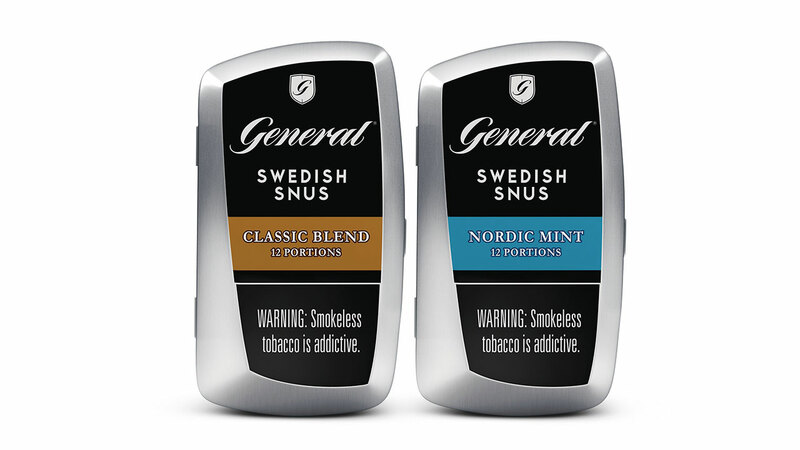 The newly-cleared snus will be sold under Swedish Match's General brand. The company also sells Longhorn and Timber Wolf brand snus. Swedish Match has U.S. operations headquartered in Richmond, Virginia.